Congratulations to our board member Ralph Guardiano, Principal and co-founder of Overabove in Essex for this full page profile in Sunday’s New York Times. Overabove are the Strategic Branding and Marketing Partner for the Ivoryton Playhouse! 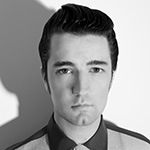 Original Broadway Elvis joins “Million Dollar Quartet” this week! MILLION DOLLAR QUARTET opens at the Ivoryton Playhouse runs through June 25th, 2017. Performance times are Wednesday and Sunday matinees at 2pm. Evening performances are Wednesday and Thursday at 7:30pm, Friday and Saturday at 8pm. 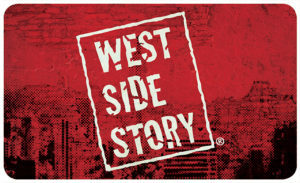 Ivoryton – Shakespeare’s Romeo and Juliet is transported to modern-day New York City in the breathtaking musical, WEST SIDE STORY which opens at the Ivoryton Playhouse on July 5th. With book by Arthur Laurents, music by Leonard Bernstein, and lyrics by Stephen Sondheim, the original 1957 Broadway production ran for over 700 performances before going on tour, and garnered 6 Tony nominations. The production is directed and choreographed by Todd Underwood and musical directed by Mike Morris, with set design by Dan Nischan, lighting design by Marcus Abbott and costume design by Elizabeth Cipollina. Executive Producers are Michael A. Dattilo and Frank Perrotti. 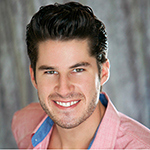 WEST SIDE STORY opens at the Ivoryton Playhouse on July 5th and runs through July 30th, 2017. Performance times are Wednesday and Sunday matinees at 2pm. Evening performances are Wednesday and Thursday at 7:30pm, Friday and Saturday at 8pm. Members of the press are welcome at any performance after July 6th. Please call ahead for tickets.